Last weekend, Chief Keef was reportedly shot at outside a hotel in New York City, an incident many believe to be linked to some recent feuding with the rainbow-dyed, tattooed viral rapper Tekashi 6ix9ine. Refusing to slow down in the aftermath, Keef has now released a new EP. Titled Ottopsy, the effort runs five tracks in length and can be heard in the players below. It features a lone guest appearance from frequent Keef collaborator Tadoe. 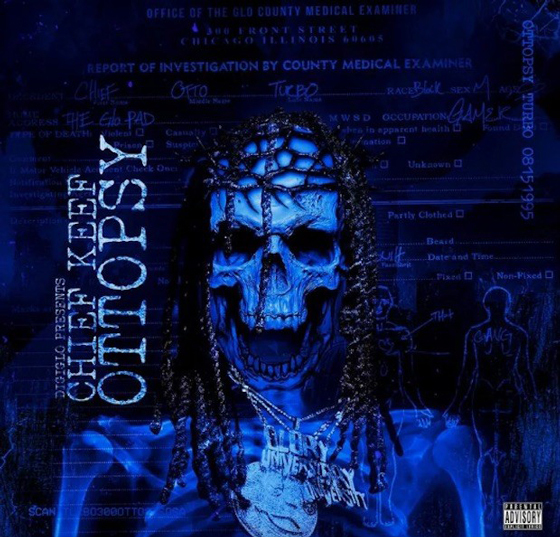 Ottopsy marks Chief Keef's fifth release this year, having delivered The GloFiles Pt. 1 and Pt. 2, The Leek (Vol. 5) and The Leek 4 already.